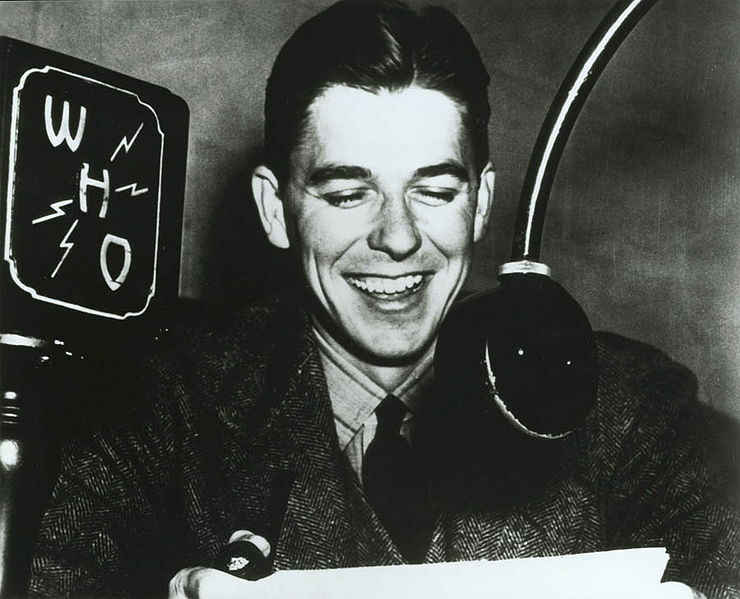 Ronald Reagan as a radio announcer in Des Moines, Iowa. It is no secret that radio informs public opinion through its programming. If you prefer to tune in to commercial, mainstream radio, songs with more airplay tend to be more popular. In turn, those artists and their record labels and advertisers make more money than artists with less airplay. Why? Because, much like newspapers must cater to their advertisers to some extent, radio is a business. But where does college radio fit into this picture?